An ultra-comfortable, virtually invisible bottom layer of clothing, Perspi-Shield Sweat Proof Undershirts have been designed with the sole purpose of controlling problem sweat and preventing sweat stains from forming on outer clothing. Ideal for sufferers of hyperhidrosis, their tailored snug fit and underarm reinforcements absorb the maximum amount of moisture from the underarms, chest and back, keeping you in control and full of confidence at all times. 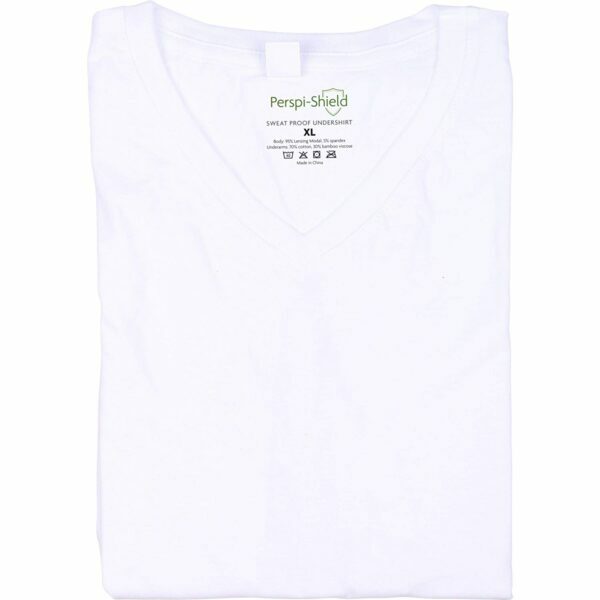 Unlike many other undershirts, Perspi-Shield Sweat Proof Undershirts are designed to be as unobtrusive as possible. The garment’s silky smooth micro modal fabric provides for luxurious and ultra-comfortable feel. They are also cut with additional length so that they can comfortably be tucked into trousers without riding up your back, while the low neckline provides total invisibility when worn with an open collar. The entire garment is machine washable at low temperature so you can wash and wear with ease. 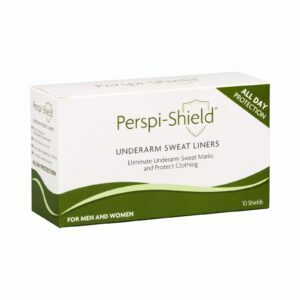 Unlike other products that are essentially a low-quality cotton T-shirt fitted with underarm shields, Perspi-Shield Sweat Proof Undershirts are constructed from lightweight 95% Lenzing Modal fabric combined with 5% Spandex. This latest development in breathable fabric technology ensures you remain cool whilst wearing the garment, minimising the amount of sweat your body produces. Perspi-Shield Sweat Proof Undershirts also do not “wick” moisture away from the body. This action – often provided by other undershirts – actually transfers moisture to the outer layer of clothing, the exact opposite of what undershirts are designed for.